And it has something to do with his ex. Calvin Harris reportedly refused to collaborate with his girlfriend Taylor Swift amid concerns it will ruin their relationship. The Scottish DJ-turned-superproducer has worked with some of the music world's biggest stars, including Rihanna and Ellie Goulding, but he is allegedly hesitant to work with Taylor after collaborating with his former girlfriend Rita Ora led to the end of their relationship. 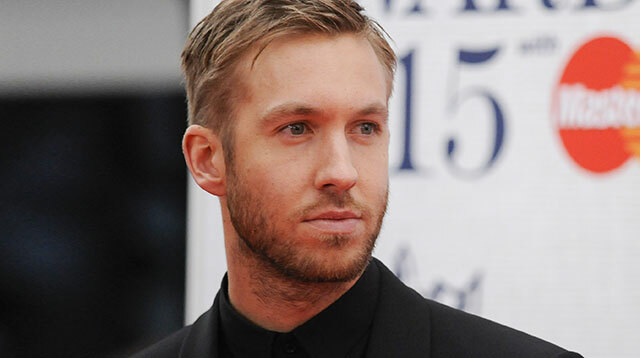 The former couple split in 2014 after hitting the studio together to work on a number of songs, including “I Will Never Let You Down.” After their breakup, Calvin reportedly imposed a ban on Rita performing the track. Now sources tell British newspaper The Sun that the DJ's team proposed the idea of working on a track with “Bad Blood” hitmaker Taylor, but Calvin was not interested. "Calvin's next single is ready but the label is keen for him to get a big female U.S. star to collaborate on it," the insider told the newspaper. "They floated the idea of him working with Taylor but he politely declined it." The news emerges days after Calvin and Taylor celebrated their one year anniversary. Meanwhile, Rita recently revealed she has recorded two tracks about her troubled love life, including one about Calvin, for her new album. "I've got about two of those records," she told The Sun. "But the thing is, I get angry first then I get emotional. I hate, hate, hate, hate, hate that person and then I'm like, 'Wait a minute, hold on...'"
Rita's new release will be the follow-up to her 2012 debut Ora, but her progress has been marred by a series of delays; she's currently locked in a legal battle with Jay Z's record label Roc Nation as she seeks to terminate her contract.